Some color sketches done for fun! 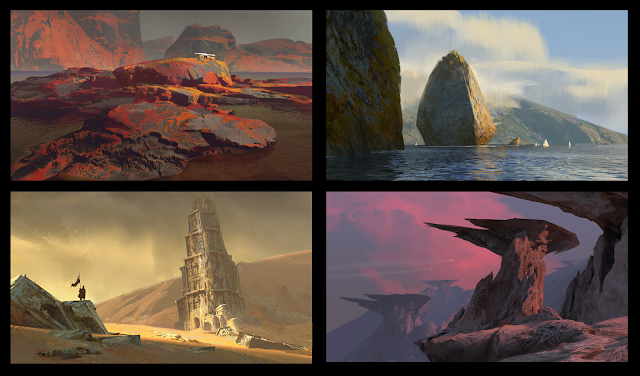 Top right and bottom left were quick live demos from the Montreal Workshop. I think I've just discovered that I love painting alien planets.